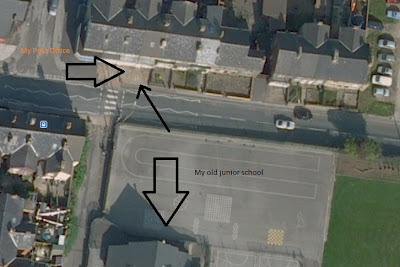 As a young boy I used to spend time playing in the playground of my junior school. Across the road from the school there was a Post Office. I remember back in the 1980s delivering newspapers from there. 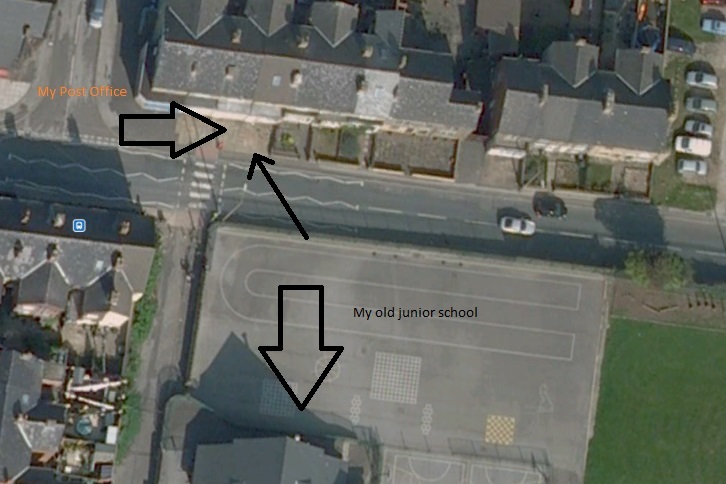 At playtime I used to stand at the fence and wave to the shop keeper (see the diagonal arrow). There was never any thought in my mind that I would end up owning the business. But life moves in mysterious ways. Spool forward to the late 1990s. I am working in the Post Office. In a strange reversal of fortune I spend my time waving at the children who are playing in the playground. One day a boy of 16 walks in. He asks for a packet of cigarettes. He assures me that he is 16. I remember this lad when he used to be waving at me from the playground aged about 10 years old. It seems about 6 years ago. I sell him the cigarettes. He says "Remember when you used to wave at me? I said to my mate 'I can't wait to buy some cigs from Craig'"
On that day I decided never to sell cigarettes again. I had to sell the stock I had left but I bought no more cigarettes. Turnover dropped. The profit wasn't particularly high but it did have an effect on my "bottom line". How could I continue selling cigarettes knowing that children aged 10 years old were discussing buying cigarettes from me?